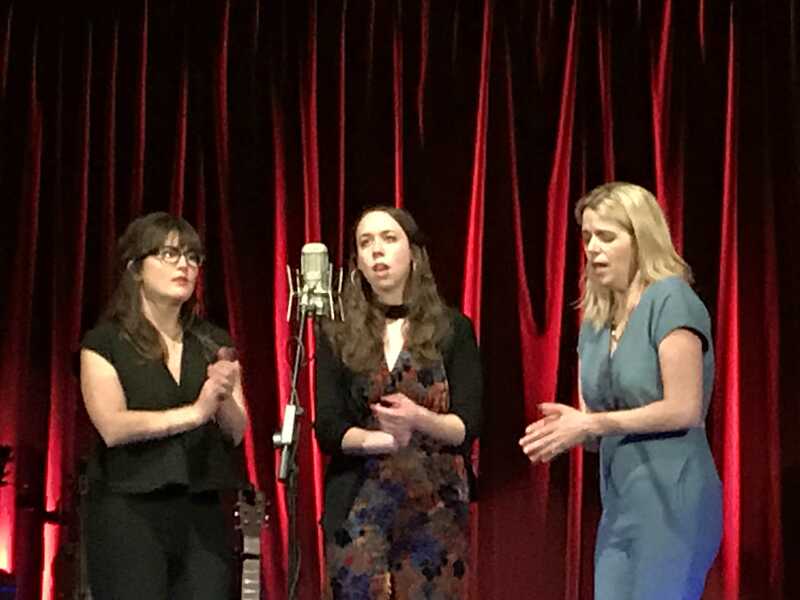 Female Americana supergroup I’m With Her wowed an enthusiastic sell-out audience at London’s Bush Hall with a polished performance featuring tracks from their forthcoming debut album See You Around and numbers from their back catalogue. 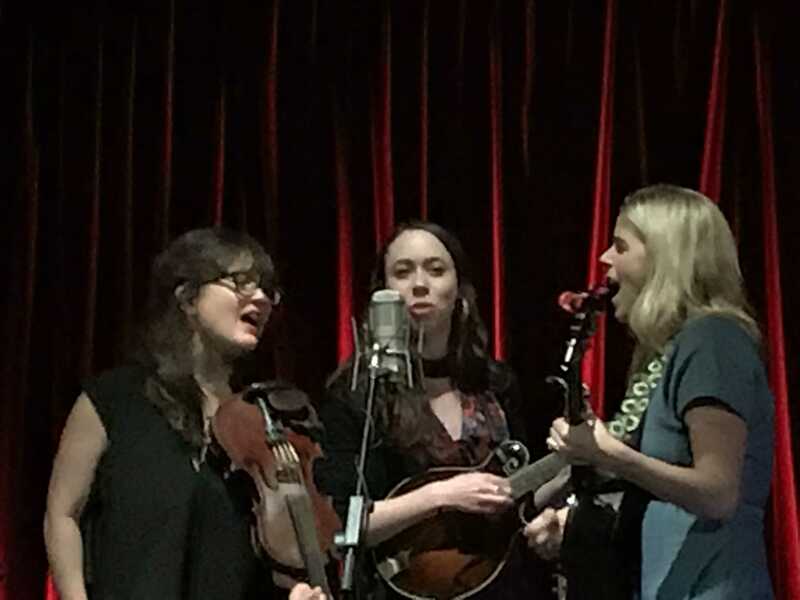 I’m With Her is comprised of Aoife O’Donovan, Sarah Jaroz and Sara Watkins, all accomplished individual performers who have been playing together since 2014. Three singers. Three instruments. One microphone. One sound. The trio blend seamlessly, taking turns to share lead vocals and harmonising perfectly throughout the 17-track set. All three play guitar, Watkins doubles on fiddle and Jaroz on mandolin and banjo. This is a true collaboration between friends and there are a lot of smiles on stage. They began the show with Little Lies and Ain’t That Fine and Walkin’ Back To Georgia. Hornets had more of a bluegrass feel with sumptuous vocals, the three singing as one voice. Vasen was a more folksy instrumental, with Jaroz starring on mandolin and Watkins on fiddle. They featured the title track See You Around from the debut album and Watkins took the lead on the slower number Today Is A Bright New Day. Game To Lose was beautiful with a strong solo from Watkins and the trio swung with the bluegrass footstomping Waitsfield. O’Donovan took vocals for Ryland (Under The Apple Tree) and Jaroz shone on Crossing Muddy Waters with lively banjo playing. Be My Husband was impressively performed a cappella and the main set closed with Overland. Hundred Miles from the new album served as an encore for this top quality performance from a very talented trio of Americana artistes.